On Friday, March 9 dapperQ returned to Austin, TX for a third year to discuss queer fashion at the forefront of industry innovation. 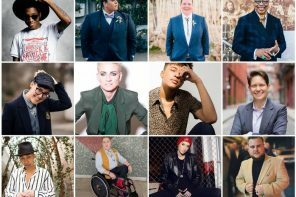 dapperQ owner and editor-in-chief Anita Dolce Vita was joined by Chaka Bachmann of The Defiant Femme, Danielle Cooper of She’s a Gent, and writer /activist Jacob Tobia for RompHims and Boyfriend Jeans: Ungendering Fashion. 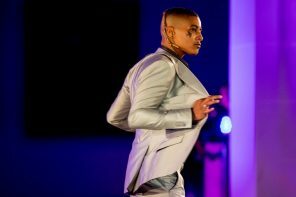 The panel took on fashion’s move towards gender fluidity and transgressing gender norms in the mainstream as actually undermining social gain. As the title implied, the panel took aim on clothing as a means of social control: that is to say, something like a man styling his hair in a bun or wearing a romper must take on a masculine name (“man bun” or “RompHim,” respectively), or loose fit jeans on a woman must take on a descriptor (hence “boyfriend jeans”) to imply subversion. But what this is doing, as the panel discussed it, is simply reinforcing the stereotypes of the gender binary by demanding such descriptive language, rather than simply being. But much of the panel centered on the erasure and reinforced negativity surrounding femininity in culture. If Gigi Hadid wears a masculine suit, it’s cool and gender-fluid. And while fantastic and inclusive to many, gender neutral clothing lines are disproportionately skewing masc. It’s all button up shirts, T-shirts, and some kind of sweatpant terrycloth future (thanks, Jacob Tobia for the mental image). But if Jaden Smith wears a skirt for a major campaign, it’s still treated with backlash. 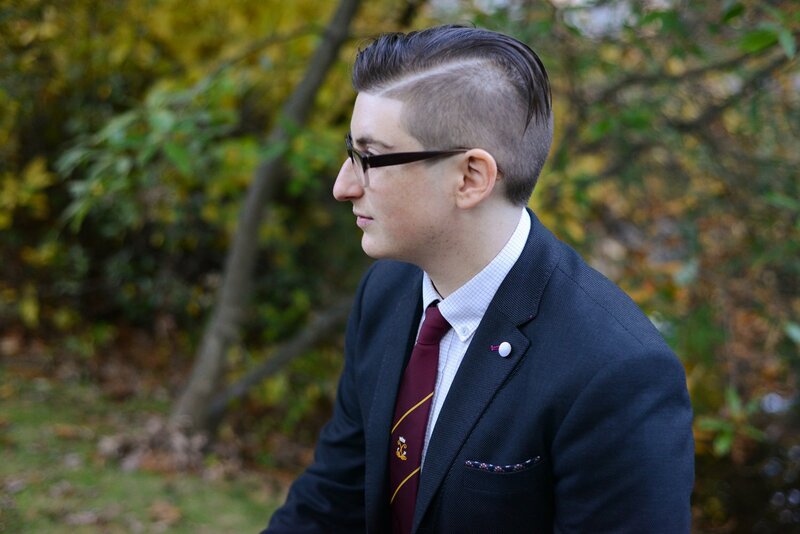 The world of gender-neutrality is inherently masculine, as it stands today, and that is a problem. Tobia pointed out it’s ok for the feminine to take on the masculine, but not vice versa. Bachmann quite simply put it as femininity being erased. The panel took the intersectional approach to this as well. 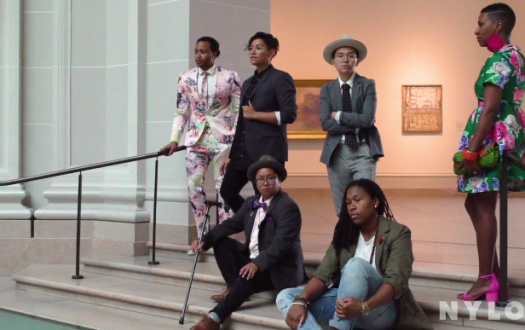 Not only does mainstream fashion shy away from feminine clothing on all bodies in favor of masculine, but it still shys away from actual race inclusivity as well. While progress has been made, the idea of “gender-neutral” still remains a thin, white, able-bodied, masculine-of-center person. It’s easy to note this idealization gaining ground on the runway and in glossy print happens to erase the entirety of the panel. So what does it take go from this fashionably gender-netural world to something actually inclusive? Bachmann described the potential to re-imagine gender as a genre, like books or movie: something within which people have different interests in different days. Dolce Vita stands by the potential for queer style as a form of liberation for everyone, but not without continuously looking at the room to improve. 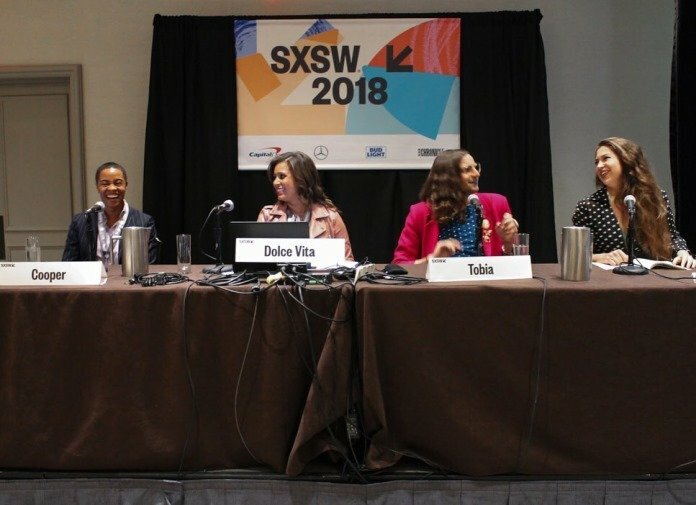 TomboyX was dapperQ’s official SXSW travel sponsor, allowing Anita Dolce Vita to finance her travel to Austin and ensure queer style representation for the third consecutive year. About the author: Nina is a strategic planner for an advertising agency in NYC driven by the need for diverse voices influencing minority mindfulness and inclusion in national and global communications for some of today’s major brands. 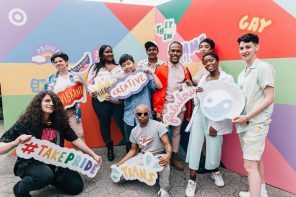 They are a member of their ad agency’s LGBTQ network which facilitates panel discussions, national research, volunteer work at SAGE, and support for other NYC LGBTQ initiatives. Prior to advertising, Nina worked in the music industry with Lou Reed, the Allen Ginsberg estate, Le Tigre, and Blonde Redhead, among others. Nina attended the Gallatin School of Individualized Study at New York University with a focus on alternative forms of kinship and how family is created and understood socially and politically. 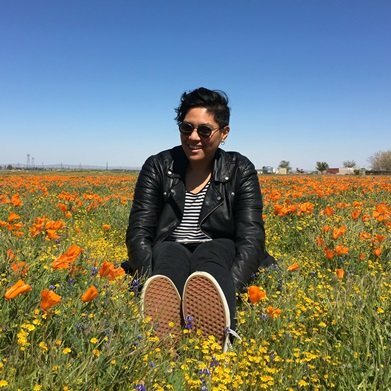 A runner, queer-yoga-enthusiast, and kombucha-drinker, Nina unsurprisingly lives in Brooklyn (by way of suburban Ohio) and currently resides in Ditmas Park with a roommate and occasionally borrowed dogs.